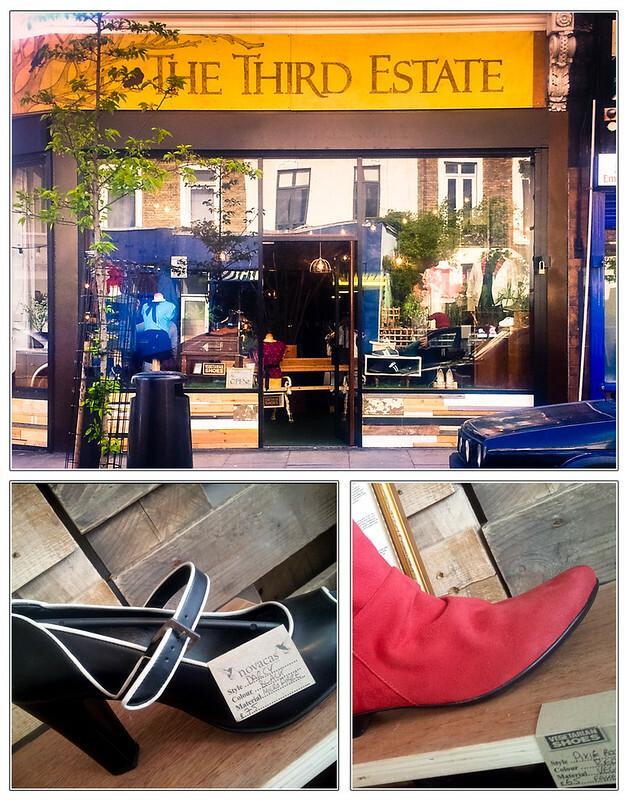 Are you looking for for ethical vegan shoes in London? Read on! Vegetarians and vegans in London ought to be thrilled with the launch of The Third Estate, formerly a Leeds based vegetarian shoe shop. 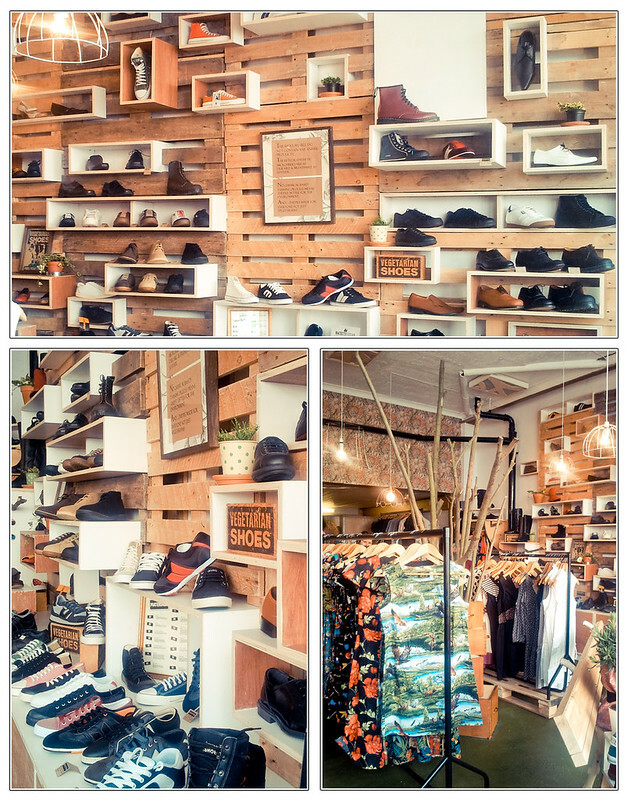 All of the footwear is vegan and the clothing is ethically sourced and eco-friendly, often manufactured in the UK. The staff are also super lovely and attentive, and the general atmosphere of the space is friendly and welcoming. It’s hard to describe so much coolness in words, so instead I’ll share the 16,726 pictures I’ve taken. Didn’t you know vegans have to have a camera to hand at all times in case of food (and shoes)? 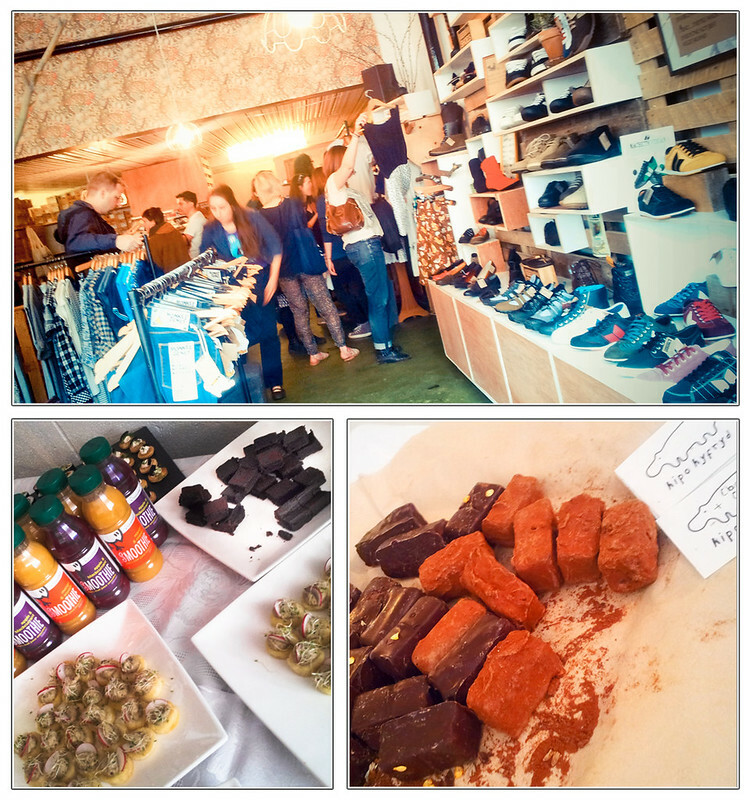 Sean of the Fat Gay Vegan blog put together a launch celebration for the shop, bringing in samples and freebies donated by local companies including Vegan Peasant Catering, Ms Cupcake, Hipoyfryd, Saf, Inspiral, and Sweetbird, among others. A massive thank you to the companies generous enough to donate goodies for the day! Shoe brands include Vegetarian Shoes, Novocas, Ethletic, Macbeth, and more. There’s rumour of some pretty great brands coming into stock soon, so keep an eye out! 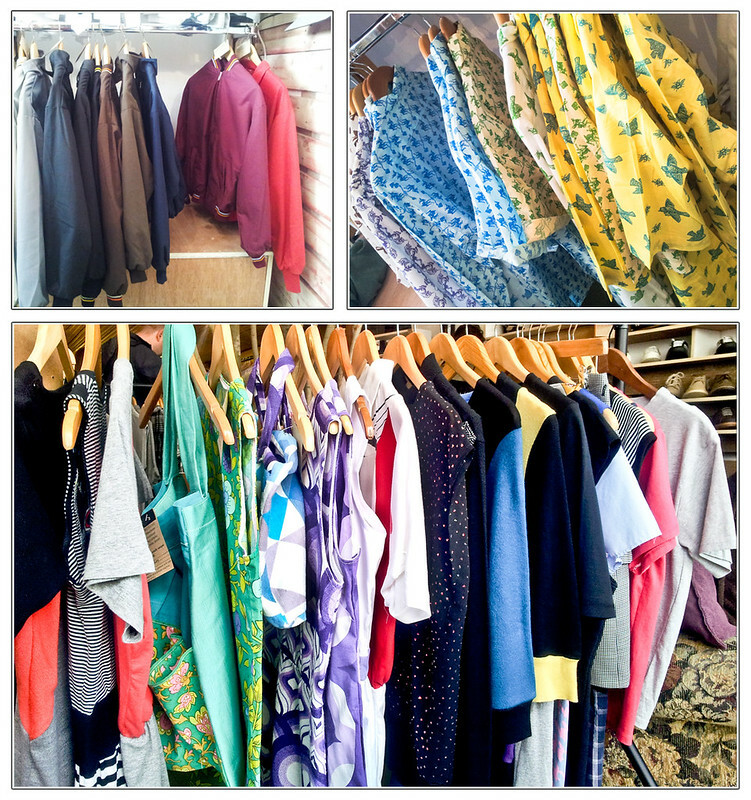 Even if you’re not into shoes, there’s loads of cute and funky apparel for indie shoppers who want to support ethical fashion manufacturers. 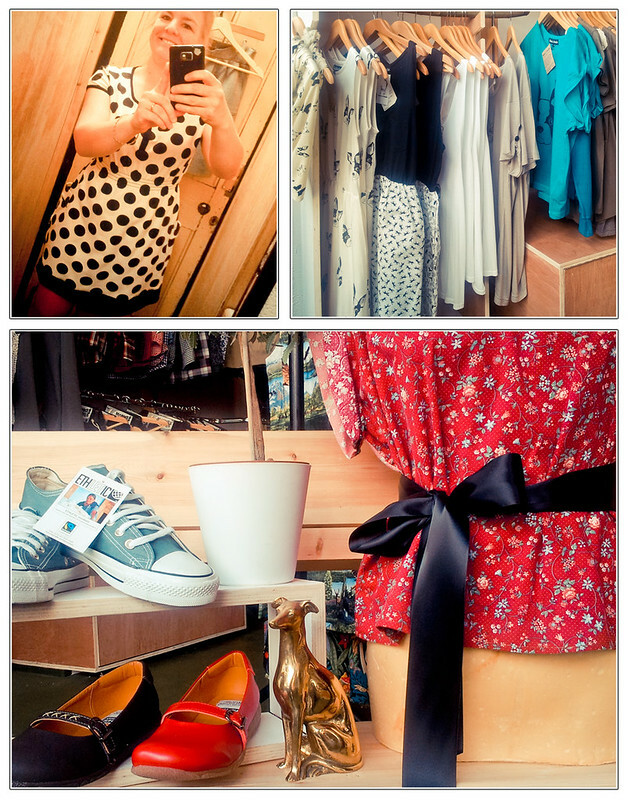 Brighton’s Get Cutie stocks some dresses at the shop, as well as animal print goods from Brat and Suzie. I got myself a super sweet black and white polka dot dress by Annie Greenabelle that’s made with fairtrade organic cotton that’s thick and feels great. The Third Estate is located at 27 Brecknock Rd, Camden, N7 0BT. For up to date shop information and opening times, visit the Third Estate Facebook page.